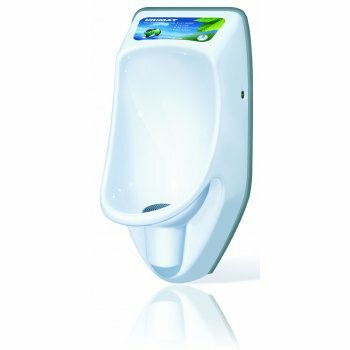 The URIMAT compactplus waterless urinal is a smaller and lighter version of the eco and ecoplus. It operates in the same way, but has the added advantage of weighing only 3.45Kg and is only 370mm wide. Therefore, it is ideal for installations where space is at a premium such as the modular and re-locatable building industry, and can be fitted to any wall material. The compactplus is also well suited for installation in schools because of its smaller size. Save money and earn money – By placing your advertising message on the compactplus display, no one can avoid looking at these commercials and the window is easily removed to change the advertising message poster. We can produce bespoke advertising messages tailored to your brand. Damage-resistant - This injection moulded bowl is extremely robust and makes the urinal break-resistant and vandal-proof. 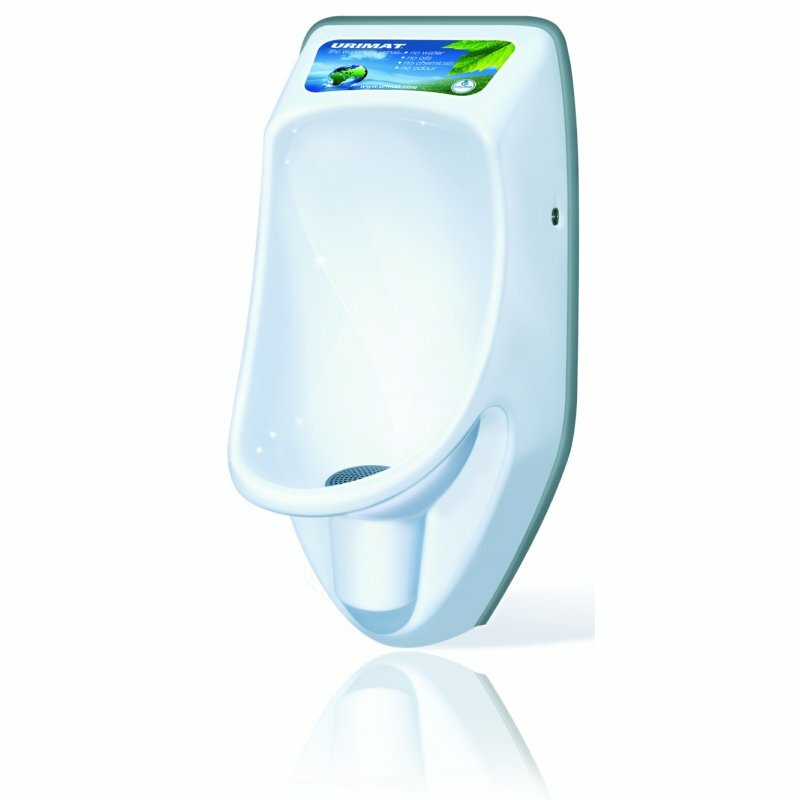 Extremely lightweight – The urinal is very light at only 3.45Kg. Absolutely hygienic – The ultra-smooth insulating action of the special synthetic material reduces the build-up of deposits on the surface. The pore-free surface and the addition of an antibacterial granulate prevent the development of bacteria and bad odours. This results in a permanently shiny surface with no discolouration. 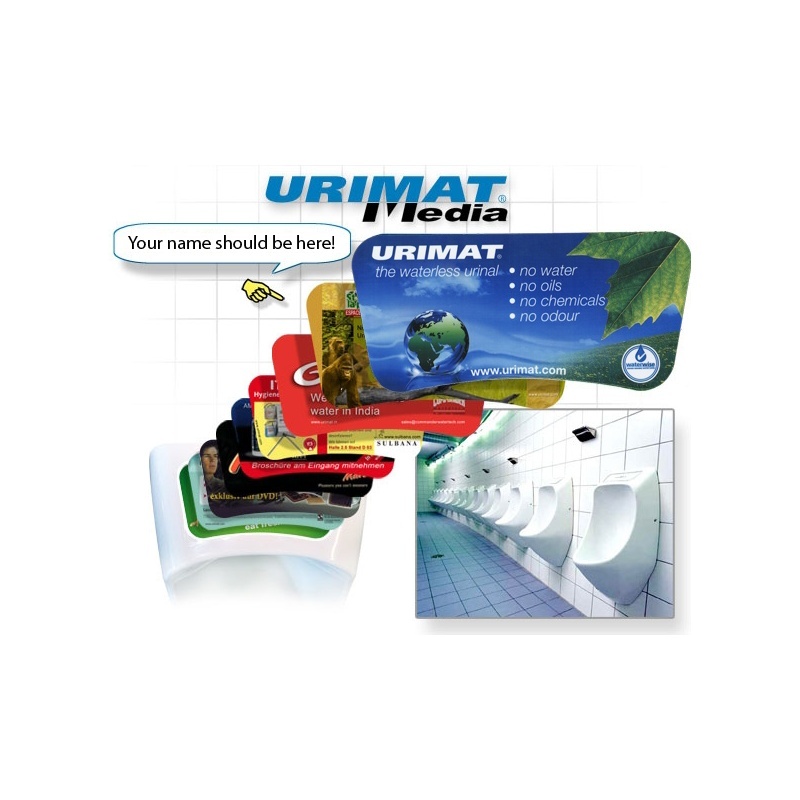 User-friendly - The patented shape of the bowl guarantees that URIMAT is 100% back-splash free, protecting clothing and the washroom environment. This is achieved with an extremely strong negative curvature in the impact area and with the shape of the rim of the bowl extending far to the front. Therefore, the user stands closer to the urinal, but without hitting their head on the wall, increasing the target accuracy. This significantly reduces the maintenance cleaning and saves additional costs.